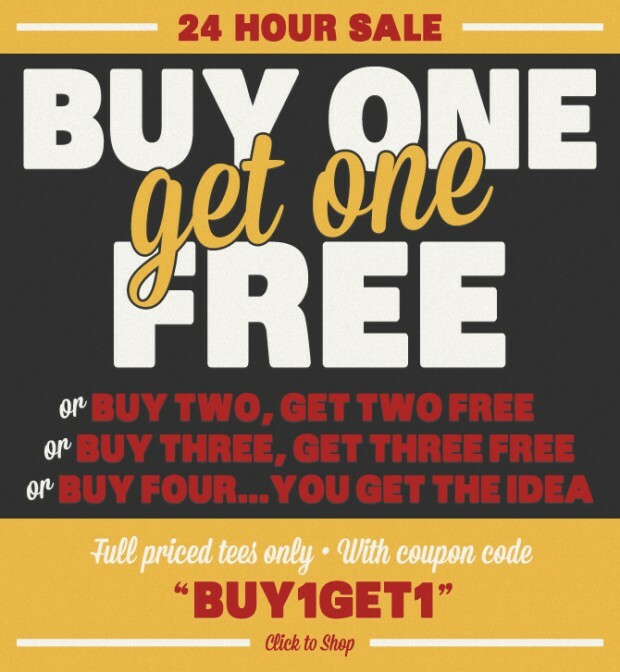 This is a pretty cool sale from Busted Tees. Basically you are paying just $10 per shirt which is a great deal and about as cheap as I have seen at Busted Tees. As the banner says, the offer only applies to full-priced t-shirts. That’s $20 for the mathematically-challenged. Use code BUY1GET1 today only! The sale is only for 24 hours and a number of them have passed already so I wouldn’t wait around if you are planning on buying something.